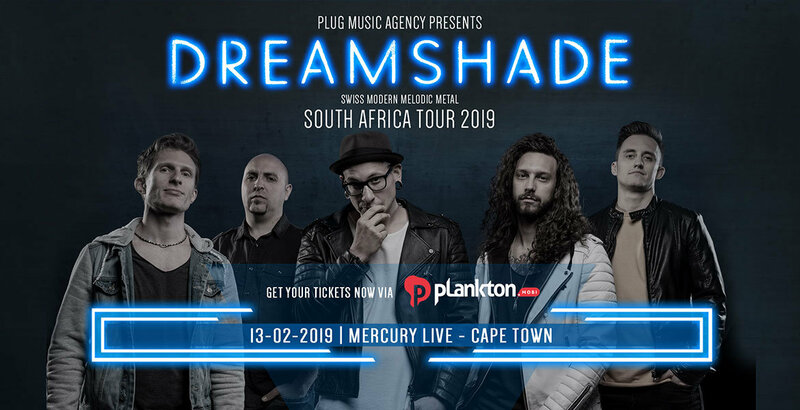 Plug Music Agency and PureGrainAudio are very happy to announce South African tour dates for Swiss melodic metal giants Dreamshade for early 2019. Playing their infectious style of metal, the band has taken the metal world by storm with their melodic hooks and amazing performances. Dreamshade will be supported by special guests Truth & Its Burden plus some of the best the South African metal scene has to offer including Facing the Gallows, Savage Lucy, OneDaySky, Last One Alive, Treehouse Burning and Red Helen. Fernando "Fella" Di Cicco, Guitars, Vocals comments on the tour; "We've been wanting to get to play South Africa since our past tour in 2014. Now the time has finally come. Me and the guys really can't wait to meet all our fans and friends to finally party together big time! Help us spread the word about the tour and prepare to have a great time!" Guitarist Luca Magri adds; "So excited we're heading back to SA once again. I've got great memories since my first ever tour with Dreamshade was the past South African tour and we had a blast! Be there and help us make these shows unforgettable!"